Hanoi (VNS/VNA) - Two historic steam locomotives that were repatriated to Switzerland from Da Lat in 1990 became part of the European country’s celebration of the restored Furka Pass rack railway last week. The Furka mountain route, which was built in 1925, leads past the impressive Rhone Glacier and is known as one of the most beautiful in Switzerland, as well as one of the most challenging. The locomotives were manufactured by Switzerland’s Furka-Oberwald (FO) company not far from the site of the celebration. 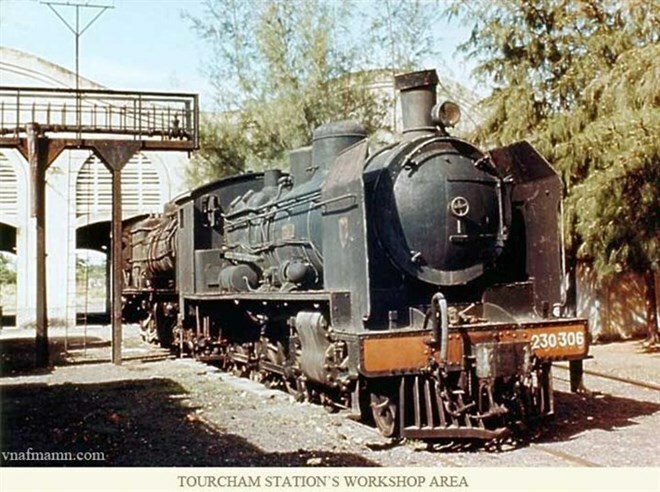 In Vietnam, the two locomotives chugged along the Rack Railway connecting Da Lat to Thap Cham (Cham Tower) in Phan Rang, but they were basically abandoned after 1975. Since they returned home to Switzerland, they have been restored to pristine working condition. Nguyen Thi Hien, a member of the World Health Organisation in Geneva, who worked on a project aiming to restore the North-South railway in Vietnam in the mid-1990s, recalled with nostalgia those locomotives that once belonged to the country. Her Japanese counterpart on the project was thrilled to hear the stories of two old steam locomotives and hoped to restore the Rack Railway to attract tourists. As far as Hien knew, the machines were still where they had been left almost two decades before. But they were disappointed when they arrived at the site. “What a pity, when we came, nothing left. We only see an old station nestled in a mountain while the rails and locomotives had been demolished and sold at the price of scrap to a Swiss intermediary company, who re-sold it to a Swiss train company [the locomotives’ manufacturer, Furka-Oberwald at a very expensive price – about 1.3 million USD in 1990,” she said. According to the documents left by the French, the 84-km long route from Phan Rang to Da Lat is one of the world’s oldest cogwheel railroads. The French spent 30 years building it in the early 20th century.